Memorials to the Family are greatly appreciated. You may give your memorial directly to a family member or place it in the memorial box at the Funeral Home. You can also mail it to the funeral home, please write "Family of Marilyn Skott" on the outside of the envelope. Sept. 17, 2018. Preceded into Eternal Life by her husband, Ralph Skott. 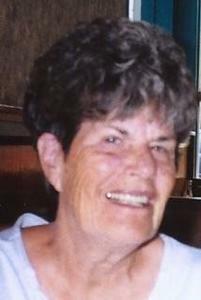 Beloved mother of Michael (Colleen) Skott, Ellen Skott, Janice (Jon) Hood, and Audrey Skott. Cherished grandmother of Dena, Dawn, Gary, Andrea, Elliot, Daniel, Samuel, Rebekah, and Abigail. Proud great-grandmother of Alyssa. Marilyn owned Lyn’s Beauty Salon in Bay View in the 1960’s. Visitation at the Niemann / Suminski Funeral Home, 2486 S. Kinnickinnic Ave. Milwaukee, WI 53207 Fri. Sept. 21, 2018 from 4:00 PM until the time of the Funeral Service at 7:00 PM. Private entombment Arlington Park Cemetery. In lieu of flowers, memorials to the family are appreciated. She led many people to the Lord.